mophie has embraced the USB-C PD spec for fast charging with its new powerstation PD and powerstation PD XL, two universal batteries designed to charge popular smartphones at the fastest speed possible. The former ($59.95) proves 6,700mAh of juice, while the second ($79.95) serves up 10,050 of battery power. The folks at mophie claim that both will charge select iPhone smartphones up to 2.5 times faster compared to a standard 5W charger, or up to 50% in just 30 minutes. I’ve found this to be true when using the devices with my iPhone Xs Max. 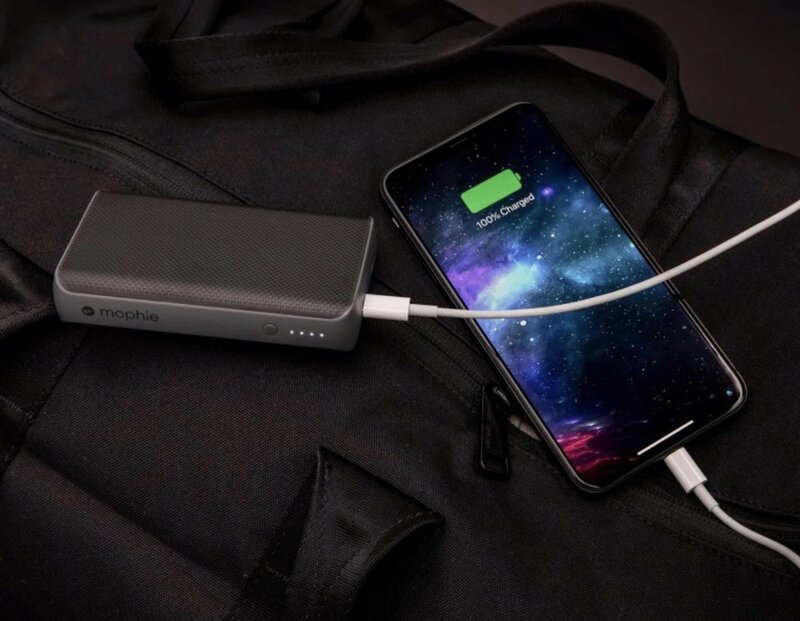 The mophie powerstation PD and powerstation PD XL feature a shared USB-C PD input and output port, which delivers fast charging (18W) and recharging (15W). An additional USB-A port lets you charge two devices at once. With Priority+ charging, power is sent to connected devices first before the powerstation itself starts to recharge. An LED power indicator displays the charging status and current battery life. But, hey, you’re probably wondering what “PD” stands for. Thankfully, I’m here to tell you. PD stands for power delivery. PD technology basically enables your device to take on more power in a shorter amount of time, which translates to faster charging. Newer iPhones can take up to 18W of power, but the standard charger that comes in the box can only deliver up to 5W. After 30 minutes, you’ll only have roughly 19% charge. The powerstation PD can deliver up to 18W; after 30 minutes, you’ll have up to a 50% charge. The powerstation PD and PD Xl look reasonably attractive in their dark, blockish designs. They’re also on the pricey side, but there aren’t a lot of USB-C PD power backs around, so you’re paying a little extra to have some of the latest, greatest universal battery tech.